At the last minute, I decided I needed more gifts. I had recently bought a few sets of hand towels and thought I would monogram them for a few people for Christmas. 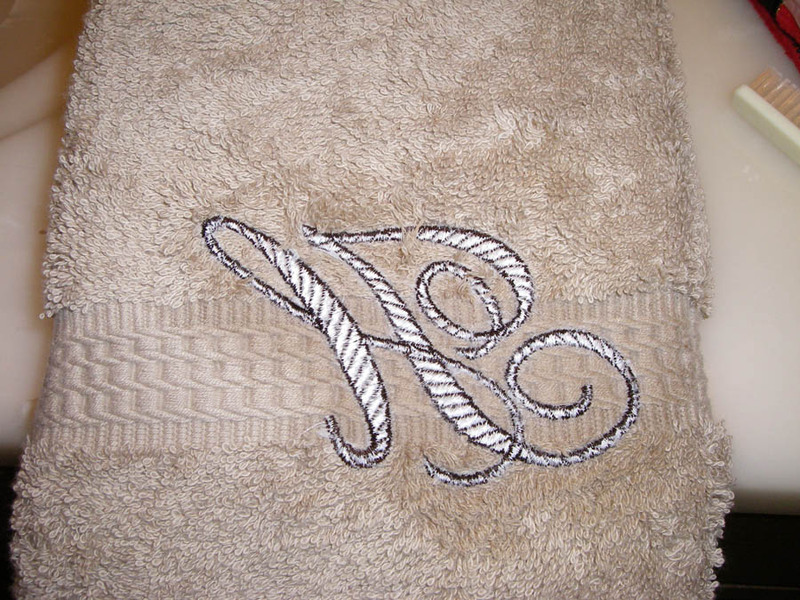 My all time favorite font for monogramming towels was previously purchased from ABC Embroidery Designs. My favorite is called Monogram #2. It is a rope stye script font that comes in 3 sizes. I usually use the 3.15" height size. 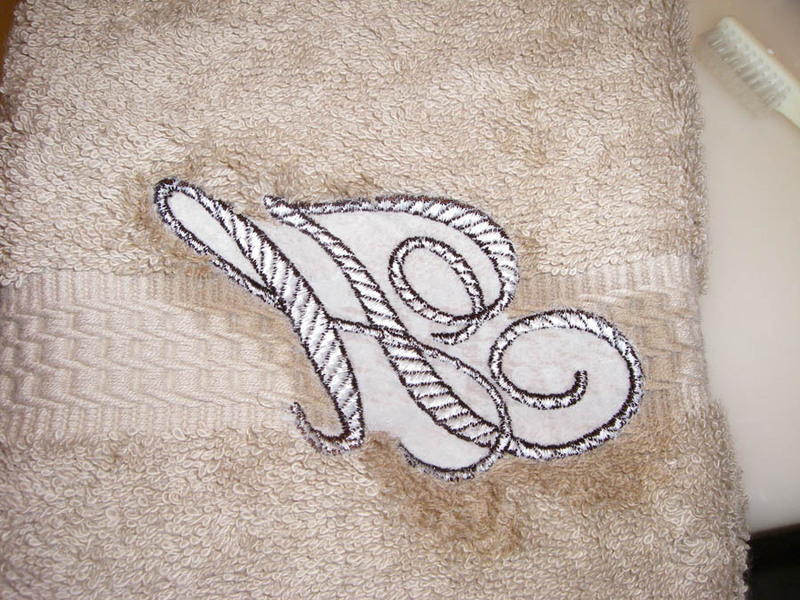 It has depth and style and looks beautiful on towels in my opinion. Please note, this site delivers their download links by email and it can take up to 12 hours to receive it. I usually receive mine in under 2 hours. First the setup. 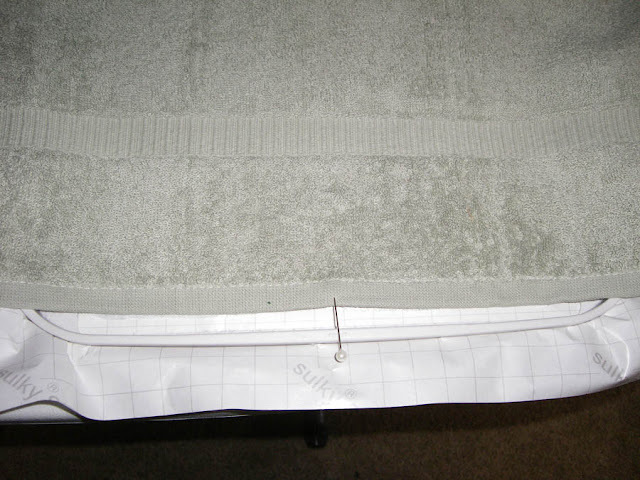 To find the perfect placement, I usually fold the towel vertically and place a pin at the center point. This then lines up with the center mark on the hoop. I use sticky Tearaway stabilizer. The sticky obviously holds the towel where I want it to stay. I usually pull the towel up 1/4 inch from the bottom too. 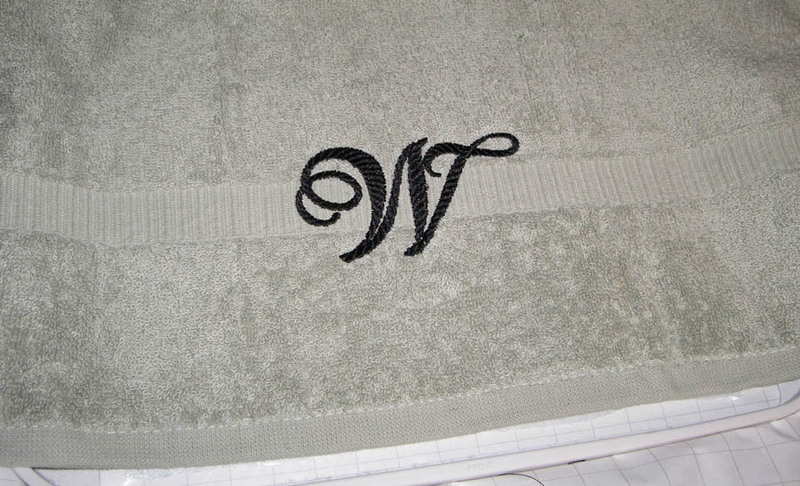 This give me as close to center as I can get and usually places the design in the towel band. I also use less of the sticky tearaway stabilizer by only replacing the part that I rip off when completed with the design. I cut a smaller patch to replace what was removed. It saves so much stabilizer and works like a charm. 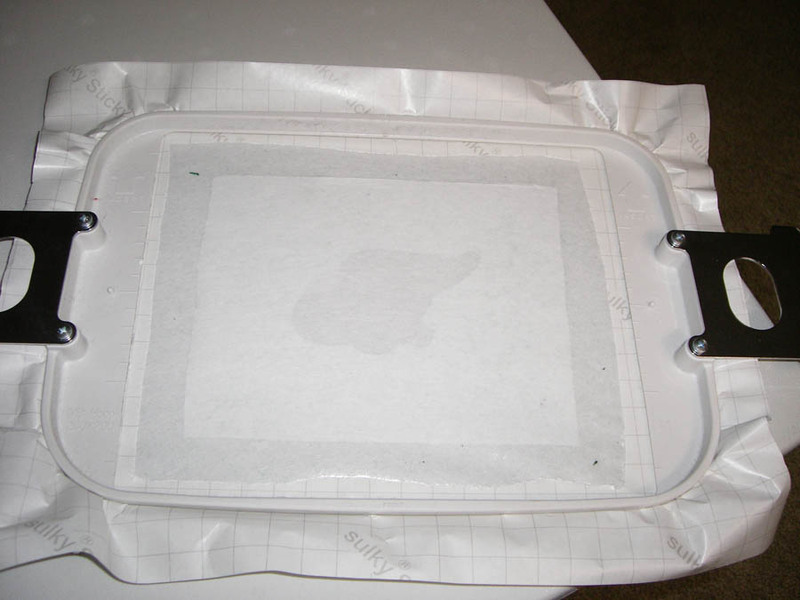 I use a larger patch though to make sure I have enough stabilizer to hold the towel. I completed 10 towels in about 4.5 hours. I'm pretty happy with the end results. They look so expensive and you just want to touch the embroidery. One final, to remove the excess stabilizer from the back. I use a tooth brush (new one of course lol) and wet the excess stabilizer. I soak it and then wait a minute or two. Then I scratch it with a straight pin to get it started and it seems to come off so much easier for me! It's not as sticky. I end up with a clean towel back as well. 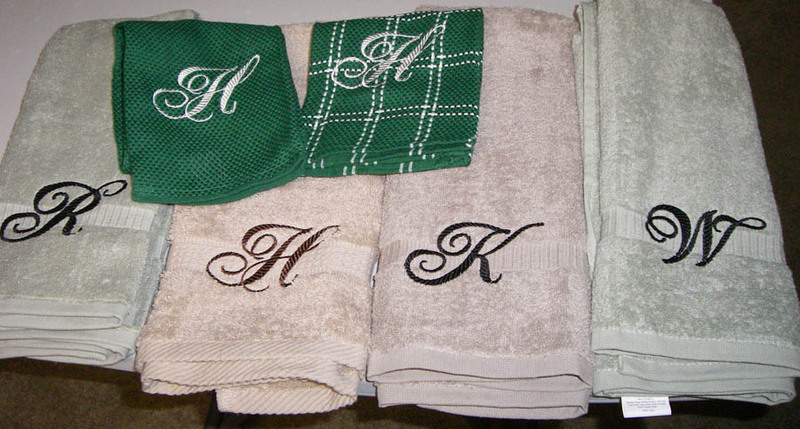 What beautiful towels!! They make such a thoughtful gift too! What type of machine do you use to make these? Beautiful towels. I love that monogram design. I'm definitely going to order a copy. Very nice. Great tutorial too. Thank you.